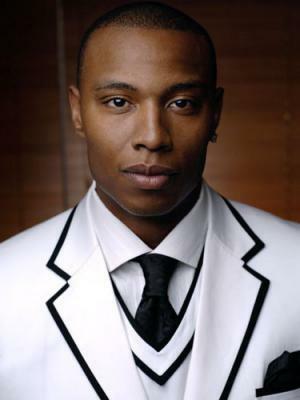 Caron Butler was born on the 13th March 1980, in Racine, Wisconsin USA, and is a basketball player, who has played in the NBA from 2002, had his last contract with the Sacramento Kings, but he decided to buy it out and is currently without engagement. Throughout his career, which began in 2002, he switched teams nine times, including to the Miami Heat, Los Angeles Lakers, Dallas Mavericks, Milwaukee Bucks and is regarded as a journeyman. Have you ever wondered how rich Caron Butler is, as of mid-2014? According to authoritative sources, it has been estimated that Butler`s net worth is as high as $26 million, an amount he has earned through his successful career as a basketball player, but his business ventures have also added to his wealth; he now owns several fast food restaurants across the USA. Caron had a tough childhood; growing up in poverty, he became a drug dealer when he was 11, and was arrested several times before his 15th birthday. However, while at the juvenile center, he discovered a love for basketball, and ever since then he has been focused on the game. He attended Racine Park High School, and soon transferred to Maine Central Institute. After matriculation, he received a scholarship to attend the University of Connecticut, where he continued to play basketball. In his first season, Caron averaged 15.6 points and 7.6 rebounds per game, and the second year was even more outstanding, as he averaged 20.3 points and 7.5 rebounds per game. His professional career began in 2002, when he was selected as the 10th overall pick by the Miami Hear in the 2002 NBA Draft. In his first season at Miami, Caron played in 78 games, all of which were starts, and averaged 15.4 points, 5.1 rebounds, and 1.8 steals per game. In the next seaso, he struggled with injuries, but played in 68 games although averaging only 9.2 points and 4.8 rebounds, which then resulted in a trade to Los Angeles, alongside Lamar Odom and Brian Grant, for Shaquille O`Neal. However, he played only one season for the Lakers, averaging 15.5 points, before he was traded to the Washington Wizards for Larry Profit and Kwame Brown. Upon arrival, he signed a contract worth $46 million over 5 years, which certainly increased his net worth. Butler played his best basketball while in Washington, and in 2007-2008 and 2008-2009 seasons averaged just over 20 points, and had 2.2 steals per game. He was then traded to the Dallas Mavericks, with which he won his only NBA Championship in 2010-2011 season, defeating his former team, the Miami Heat, by 4-2 in the finals series. After Dallas, he joined the Los Angeles Clippers, signing a contract worth $24 million over three years, however, after two seasons he was traded to the Phoenix Suns, and from Phoenix to the Milwaukee Bucks. However, the Bucks bought out his contract, and he became a free agent. In March 2014, Butler became a member of the Oklahoma City Thunder, signing a one year contract, and playing in 22 games, averaging just a bit under 10 points, and after the season ended, he was picked by Detroit Pistons, who signed him to a two year contract, worth $9 million, increasing further his net worth. Butler didn`t stayed long there, as he was traded to Milwaukee Bucks, who waived him, and he signed a contract with Sacramento Kings. During his career, Caron has appeared twice in the All-Star game, in 2007 and 2008, and after his first season he ended being selected for the NBA All-Rookie First Team. Regarding his personal life, Caron is married to Andrea, but there are no further information about him and their marriage in the media, though he released an autobiography in 2015, entitled “Tuff Juice: My Journey from the Streets to the NBA”. Children Camary Butler, Mia Caron Butler, Ava Butler, Caron Butler Jr.